The Columbia Memorial Space Center, located in Downey, California, is a hands-on learning center dedicated to bringing the wonder and excitement of science and innovation to audiences of all ages and backgrounds. Through world-class programs and engaging exhibits, the Space Center strives to ignite a community of critical and creative thinkers. 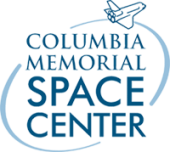 The Columbia Memorial Space Center offers a variety of ways for individuals and corporate donors to get involved with our continuing growth and learning opportunities. From membership fees to dedicated grants, you can be sure your gifts will benefit the development of the CMSC.